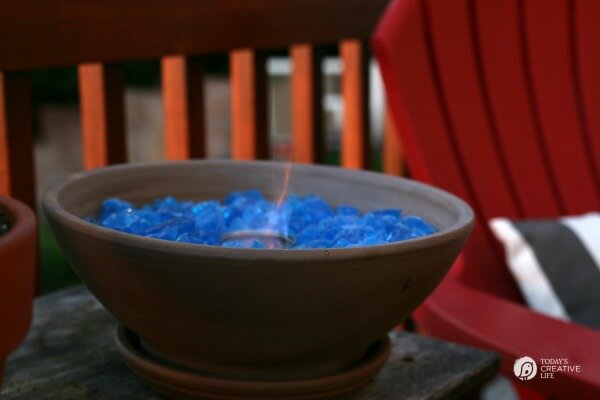 Our feature photos below show us how to make a tabletop fire pit from ‘Dunn Lumber‘, They use easy to find gel fuel, and they even have a budget tip for the fuel at the end! 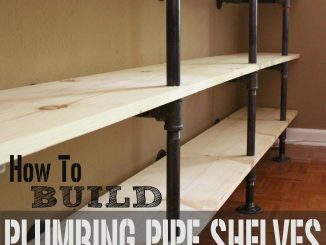 All of the supplies needed you can get at most home improvement stores. 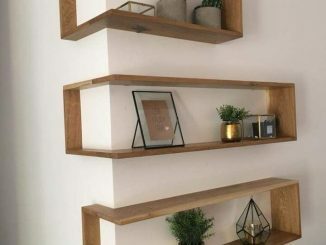 DIY fire bowl project from ‘Dunn Lumber’. 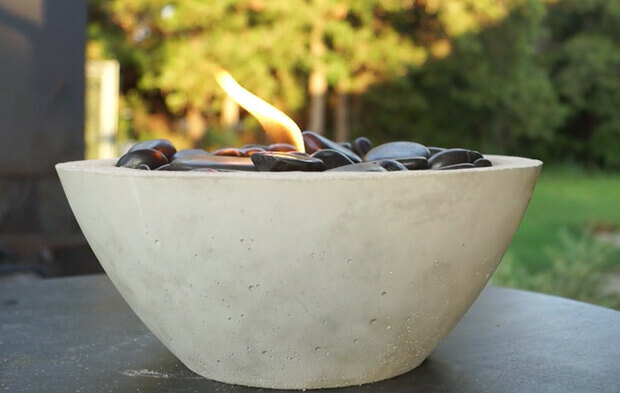 Mike from ‘Modern Builds‘ shows us how to make his modern concrete fire bowl in video! 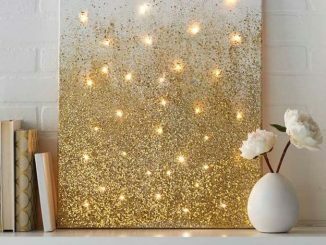 This is a great tutorial for those of us who really need to be walked through a project visually, and honestly I think most of us fall into that category! 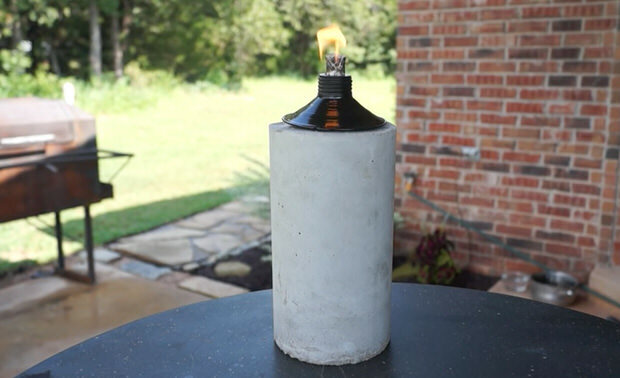 Also from Mike at ‘Modern Builds‘ is this DIY concrete tabletop Tiki torch. 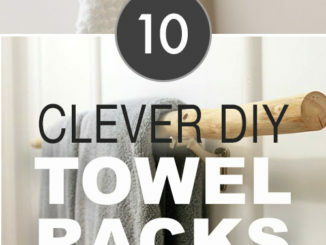 Also in video, this tutorial was a little different, and we love different! 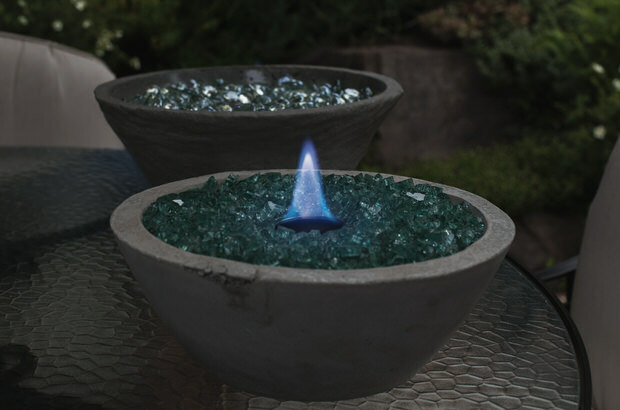 ‘BHG” made this really simple backyard fire pit with a galvanized metal bowl, fire glass and gel fuel. Be sure if you use a metal container you remember it can get hot really fast. 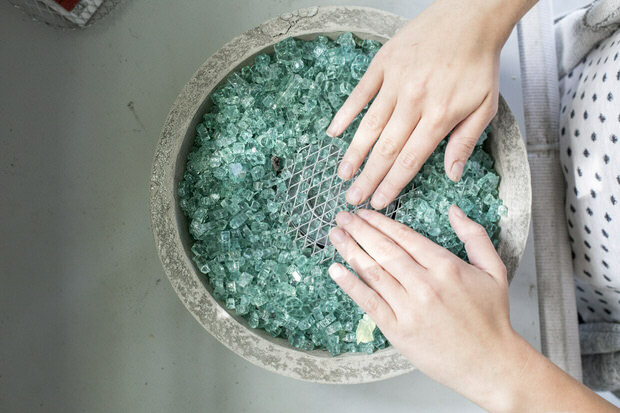 Kim at ‘Today’s Creative Life‘ made this DIY tabletop fire bowl from a flower bowl, gorgeous blue fire glass and gel fuel. 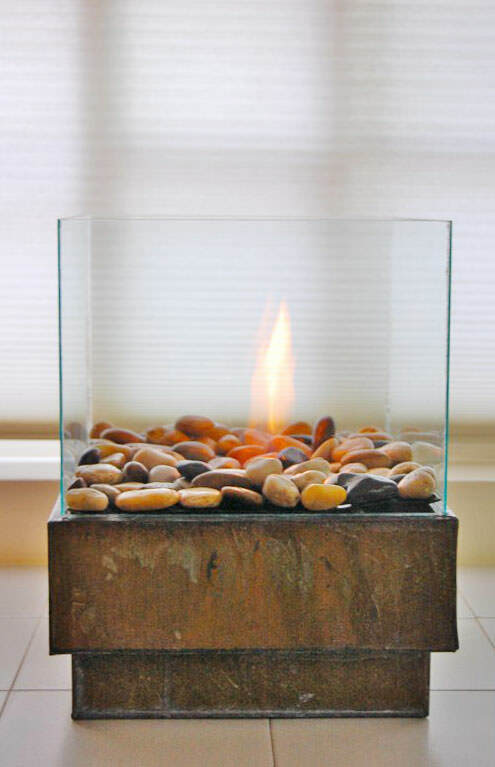 Now that you have Kim’s flower pot tutorial down, we will wrap up this post on DIY tabletop fire pits with this inspirational photo from ‘Pinterest’. 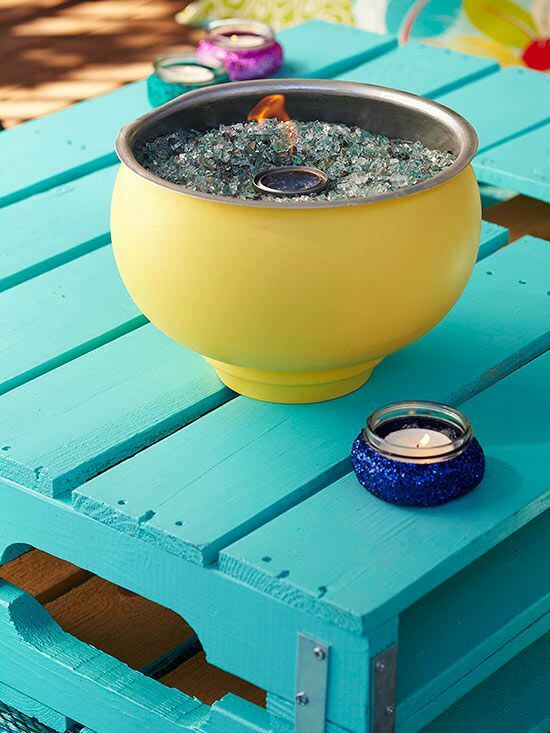 With all you’ve learned about how to make a fire bowl, this terra cotta diy project should be pretty easy! Love the deep black river rock. 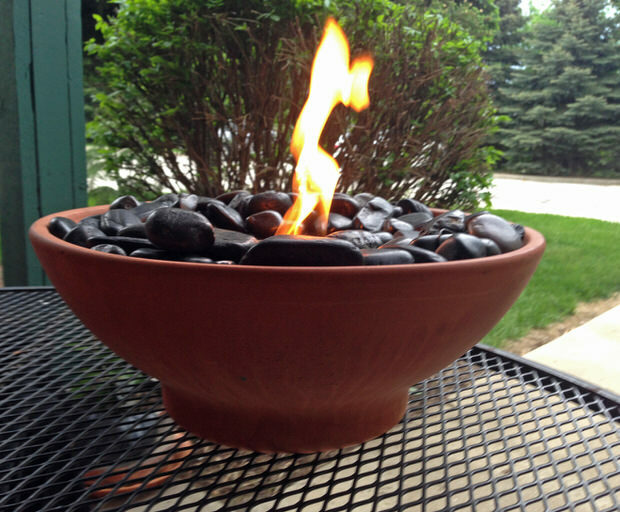 We hope you loved our post on DIY Tabletop Fire Bowls! Jump right on over to our posts on How to Build a Fire Pit and One Day Backyard Ideas and Projects!